This Creamy Cucumber Salad recipe is a classic family favorite recipe. 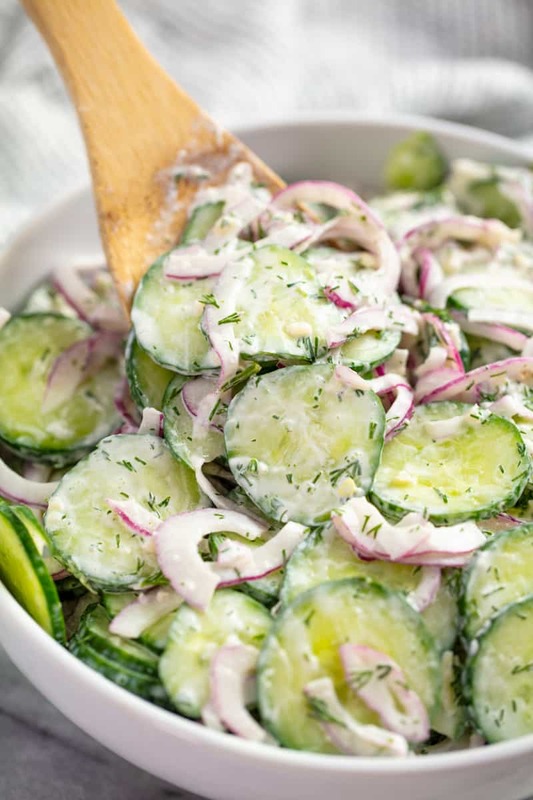 Thinly sliced cucumbers and onion are tossed in a creamy vinaigrette for an easy side dish. English cucumbers have more flavor and less seeds and are perfect for making cucumber salad. If you don’t have access to English cucumbers, you can use regular seedless cucumbers. Since they are smaller, you will need to double the amount that you use. We do not recommend using cucumbers with seeds in this recipe. Should you peel the skin off a cucumber? There is nothing harmful about the skin of a cucumber. In fact it can be a great source of fiber and nutrients. If you don’t like cucumber skin, feel free to take the time and effort to peel it. But for those of who love it, just give your cucumber a quick rinse and get to slicing! 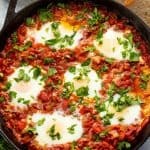 Can I use dried dill in this recipe instead of fresh? Fresh dill is strongly preferred in this recipe as it has a better flavor. If you can’t find fresh dill or don’t have access, you can use dried dill, but you’ll need to use it in smaller amounts. 2-3 teaspoons of dried dill is all you’ll need. Don’t like the creamy version of cucumber salad? 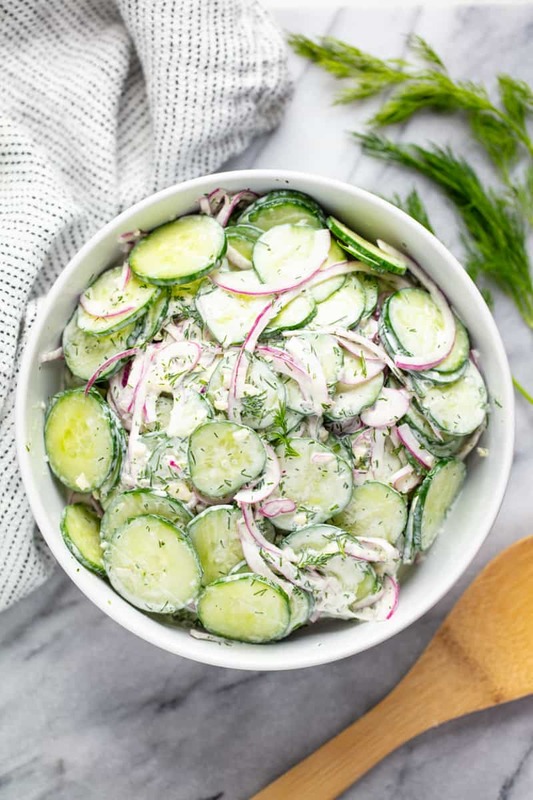 Be sure to check out our recipe for Classic Cucumber Salad too! In a large bowl whisk together sour cream, vinegar, garlic, dill, sugar, and salt. Add cucumbers and onion into the mixture and stir until combined. Cover with plastic wrap and refrigerate 1 hour, or until ready to serve. I love your recipe’s ! Thank you so much. Thank you so much Rachel, I’m making this right now to be a side dish for my annual “Feed The Neighbors”. Love all your recipes! I always add pepper fresh ground, hard boiled eggs, and a pibch of red pepper flakes. Delish! !